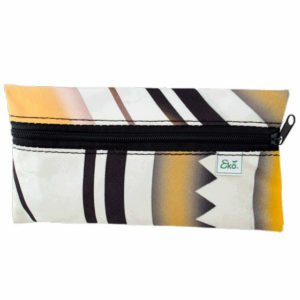 We make large pencil cases which fit a 30cm ruler and a smaller pencil case as well. These are made from recycled waste billboards. This makes them an amazing environmentally friendly recycled promotional gift / corporate gift. 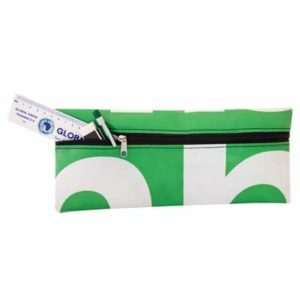 These eco pencil cases are perfect for schools but also great in the office to store stationary or can even be used as cosmetic bags or storage of other items. So, if you are looking for a low cost, easy to pack and transport amazing environmentally friendly recycled promotional gift / corporate gift these are a really great option. They can be branded with a full colour PVC label sewn on in your desired position.